Chat conversations give shoppers immediate dialogue so they know they were heard and the sales process has begun. The contact form sits there. Waiting to be completed. Live chat creates a dialogue that can lead to warm phone contact or even a scheduled appointment. Buyers may ask for a phone call or request an appointment. Then wait. Sales, CSI, service, and parts inquiries can receive a live response with hosted live chat. Visitors fill out a form. And wait. As you can see, the difference between a contact form and live chat is that chat is, well, LIVE. Much more than a virtual answering service for your phones, a good chat operator can guide visitors through the website (including inventory), set appointments, provide Edmunds.com data about vehicles or CarFax reports up to twenty-four hours a day (with participating dealers and select live chat providers), and much more. The live chat operator becomes a car shopper's 'concierge in the cloud'. 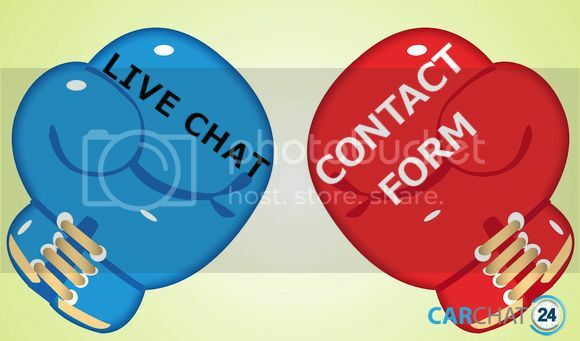 The best time to implement a live chat option is NOW, so be sure your live chat software or live chat hosted service has the experience and portfolio to meet your needs. 'Good' live chat should be a no-brainer value if supported by the ROI. Is there any third party data regarding conversion rates, appointments kept, close rates, % of visitors that use live chat, etc. for dealer sites using live chat vs dealer sites without live chat? To Mr. Mickelson's comment "it is surprising that more prospects aren't chatting with dealers", the obvious answer seems to be they don't want to talk to the dealer at whatever point they are in the buying process, but shoudn't somone be asking another "why"? I would like to know what % of unique visitors choose NOT to click on chat. Then perhaps we canfigure out 'why'. The more channels the better. Chat is an effective tool. To me, it is surprising that more prospects aren't chatting with dealers.